Texture allows access to dozens of magazines for a monthly price of $9.99 —and it is now in Apple's hands. 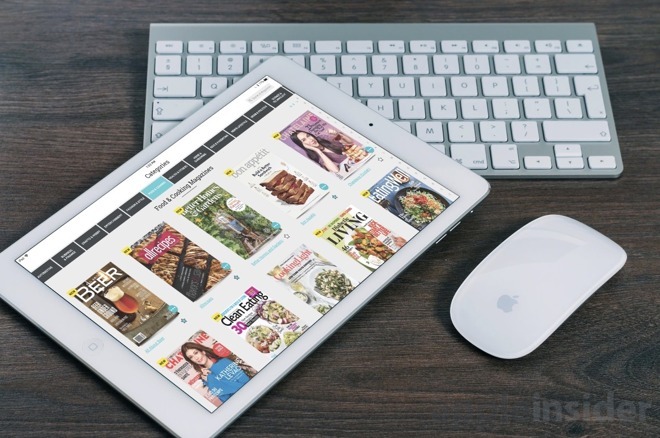 Apple announced on Monday the purchase of the digital magazine venue Texture. Simply, the Texture app, which offers a free 7-day trial, gives you instant access to both new, and legacy issues of some of the most popular publications. When you first join, you are prompted to choose some of your favorites publications. My faved included the likes of Wired, Variety, and Bon Appetit. There is such a large list of options, there will surely be something for everyone. After signing up, you will be taken to what amounts to the home screen of the app, known as Highlights. 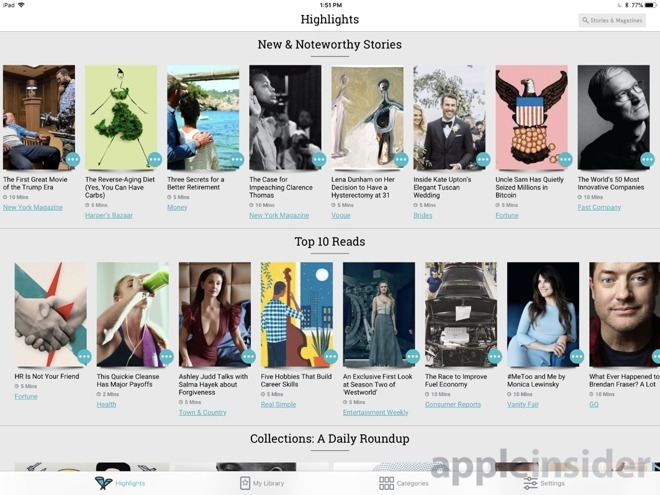 This includes "new and noteworthy" stories, top reads, themed collections, and more from all across their content pool. It is a pretty great way to find interesting editorials and long-form articles from publications you may not read regularly. We found interviews from actors I'm a fan of, recipe to try, and some workout tips all from magazines we'd never tried before. It felt a little bit like Apple's News app as it stands, even before an Apple-directed redesign that may or may not materialize, and right now is a great resource for finding great content. 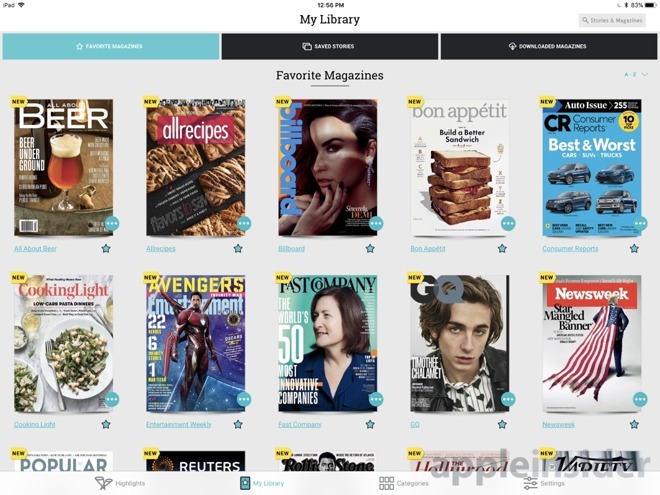 The second tab, My Library, is where you will find your favorite magazines, your saved stories, and magazines you've downloaded for offline reading. When viewing your favorite magazines, you see the cover of the latest issue. 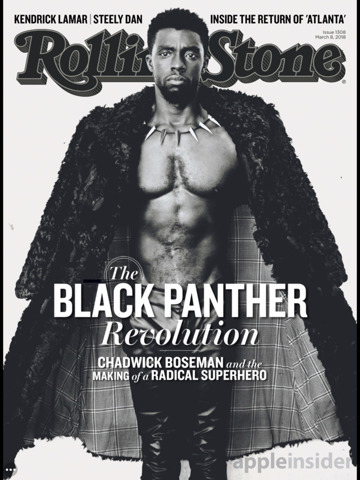 You can tap in and start reading right away, or you can tap the title to view back-issues. Saved stories allows users to create different collections, almost like a Pinterest board, for stuff you'd like to save. Besides just content curation, retention of content and user engagement with it in the future, is likely one of the reasons Apple bought the publication. Texture would fail at being a digital magazine app if it didn't excel at the reading experience. When you bring up the controls, you have a back button in the top left corner and index, save, and the share sheet in the top right. Along the bottom is a slider to quickly jump to different pages in the magazine, as well as a mini table of contents. Navigation works well when it works, but it doesn't seem to be the same between publications. As an example, in Adweek, you only have "Cover", "Contents", and "In This Issue" to choose from. Which means that the majority of the issue is up to you to peruse. However All About Beer has a bunch of categories like "Contents", "Features", "Taste", and more. This makes it a whole lot easier to find your way through the magazine. 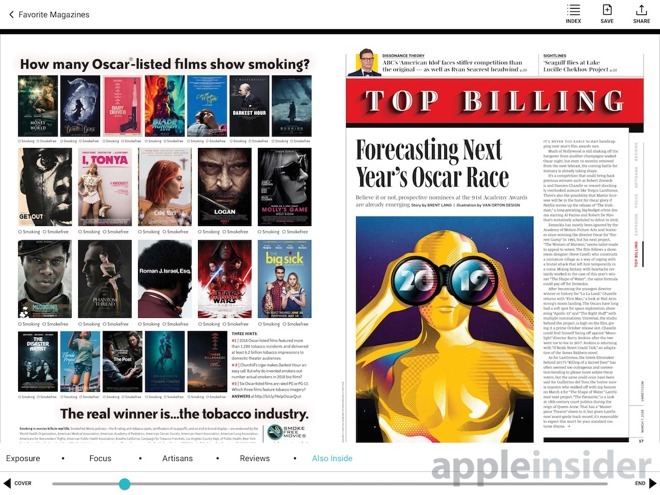 Apple has guidelines for publishers in Apple News, and content providers must comply. It will be interesting to see if Texture becoming an Apple property alters the navigation chaos at all between magazines. While we like reading current magazines, we find it hard to keep up and like we said, a "pile of shame" can build. Because of the physicality of the magazine itself, whenever we do have time to read them, we don't generally have the issue we want. Texture is a surprisingly great way to alleviate that issue, and the highlights feature really does a good job at providing a steady feed of new and interesting content. Related, we also enjoy the Apple News app, and we are both consumers of content, and publishers. As such, we read it multiple times a day. So, what moves Apple makes in regards to Texture and Apple News, as very lightly touched upon by Apple's Eddy Cue, will be interesting to watch develop. The fact they are continuing the Texture service after purchase and not shuttering it like many others could speak to their long-term plans. The Texture app, available for iPhone and iPad as well as Android devices, is a free download. A $9.99 per month tier gives a choice from over 200 monthly titles, with a $14.99 giving you the monthly titles, plus some weekly ones.